Comfort food at its finest. 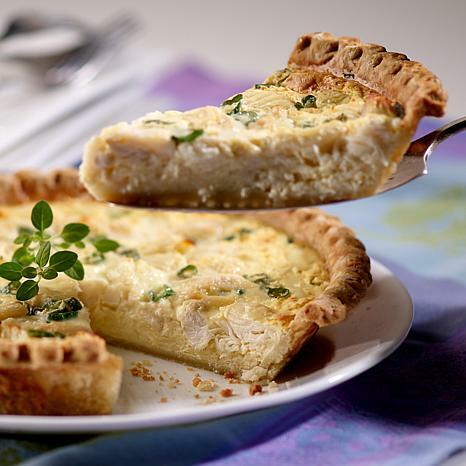 Filled with large chunks of crab meat and savory Swiss cheese, these gourmet quiches are perfect for serving at Sunday brunches, showers and impromptu get-togethers. 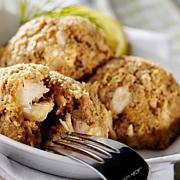 Contains shellfish (crab), eggs, milk, soy and wheat. 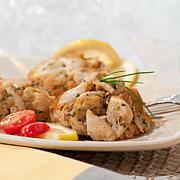 FILLING: Jumbo Lump Crabmeat, Half & Half (Milk, Cream, less the 5% Disodium Phosphate and Sodium Citrate), Swiss Cheese (Pasteurized Milk, Cheese Culture, Salt, Enzymes), Pasteurized Whole Eggs, Fresh Green Onion, Salt, Dry Mustard Powder, Hot Sauce (Red Peppers, Salt, Vinegar), Mace. PIE SHELL: Enriched Flour (Wheat Flour, Niacin, Iron, Thiamin Mononitrate, Riboflavin, Folic Acid), Interesterified Soybean Oil, Water, Hydrogenated Cottonseed Oil, High Fructose Corn Syrup, Salt, Soy Flour. I just finished my first slice of Kent Island Lump Crab Quiche. I was ooing and awing with every bite. It is delicious. 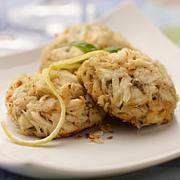 Don't pass up this chance to try some Maryland crab. You won't be sorry. This is the first time I've tried this crab quiche and I thought it was excellent. You can really taste the crab in this quiche and they are large enough to feed a family and if that family is really large you get two quiches in a package. I even shared one with my neighbor and she loved the quiche too. Thanks. After baking same,the filling was ok, not much flavor, the bottom crust did not bake well and I baked it for 1 hr..sorry I bought 2. ..